Corporate Financial Services (FS) is a sector that’s under pressure like never before. After decades of approaching business in much the same way, the rise of more agile and nimble financial startups, offering a whole array of different products and services, has meant that traditional corporate FS providers have found their position under threat. It is also an industry that is fast-paced and relationship-driven. In a highly challenging business landscape, there has been an emergence of technologies that can make an enormous difference in how corporate FS firms operate. There is more data available on clients than at any previous time in history. Using the right tools, this data contains rich insight as to what those clients are interested in, how they would like to be approached, and what market opportunities are likely to emerge. By deploying AI and Machine Learning, organizations can collect data from multiple sources and in multiple formats, extracting fresh and insightful meaning from it. This helps to deliver a deeper understanding of clients, market conditions, and crucially, potential opportunities. 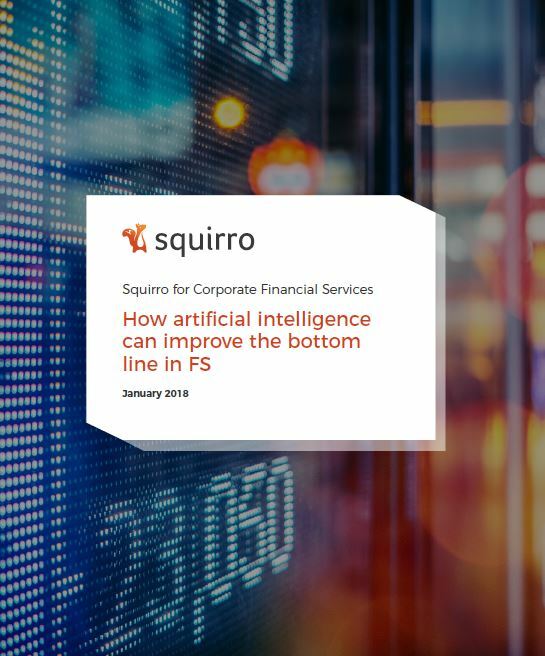 This white paper by Squirro explores some of the specific challenges these sectors are facing and outlines how Squirro for Corporate Financial Services can help meet these challenges, ensuring that corporate FS firms can thrive in an increasingly competitive landscape. Provide the details below and this free white paper will be all yours! FinTech Futures will use the details that you provide here to send you the white paper and share them with Squirro for informative purposes including follow-up on the white paper. Stay teachable. And in doing so stay humble. Speed up transactions in consumer banking and financial services. Strangers in a Foreign Land: when incumbent retail banks "go digital"
It's not practicality that makes banking in a foreign country hard. It's bankers.